Flexible width design – works well in Responsive themes. Custom markers/Icons – Add your own markers, or choose one from the hundreds included. 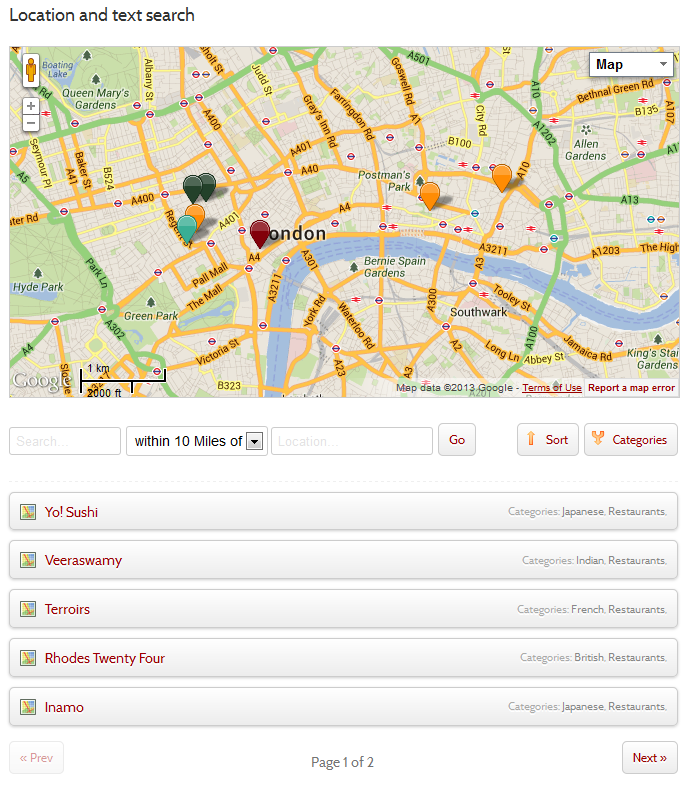 Category markers – set a marker for a whole category, rather than having to choose for every location. Quickly add locations using Google’s places search. 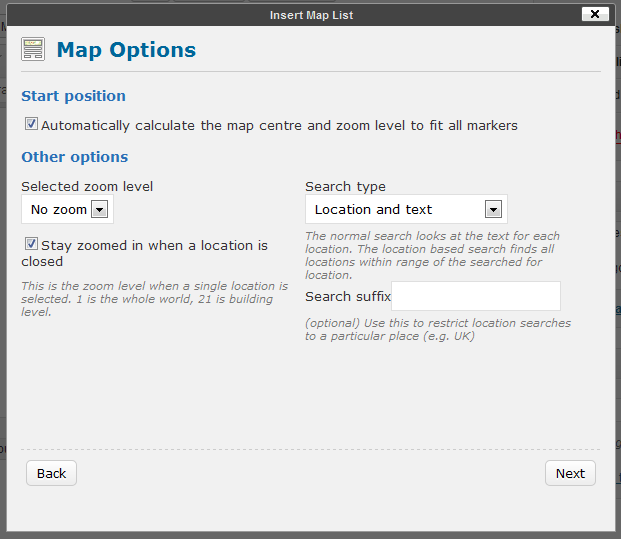 Let the map Auto-zoom to show all locations, or manually set a starting position and zoom. Get directions option (with print button). Search for locations by distance with the advanced search function. 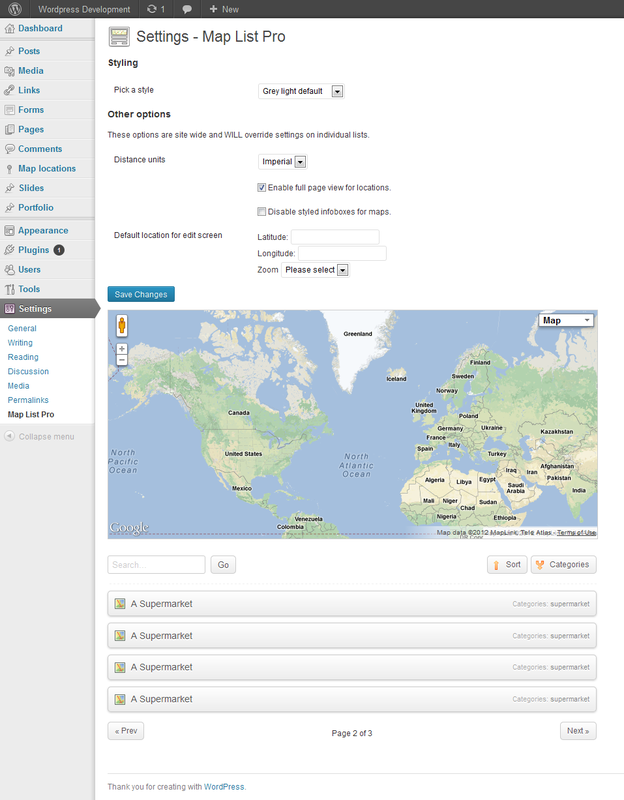 Use geolocation for directions and location distances. Add Featured images for locations. 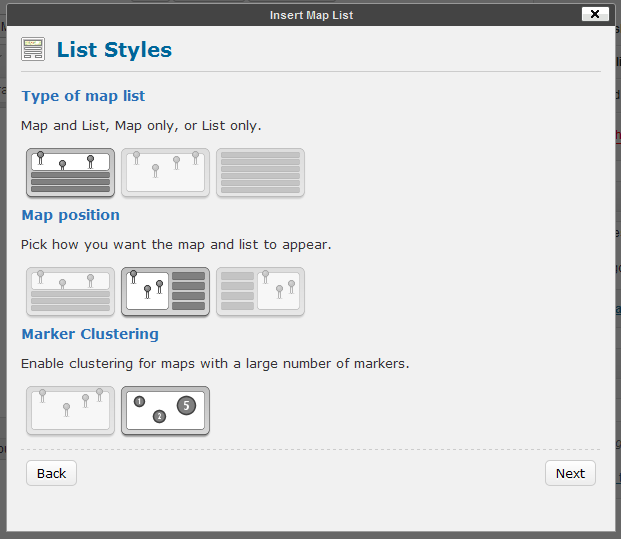 Custom map styles can be added easily.. Allow users to search by text and location. Add a search form on another page. 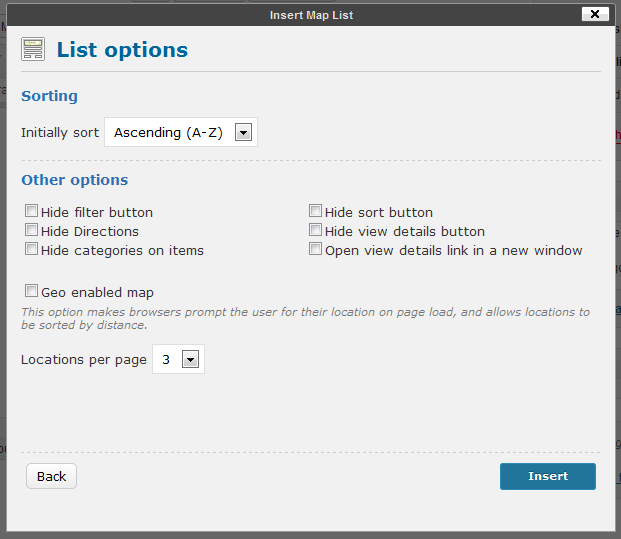 Change the map and list position – map above, to the right, or the left of the list. 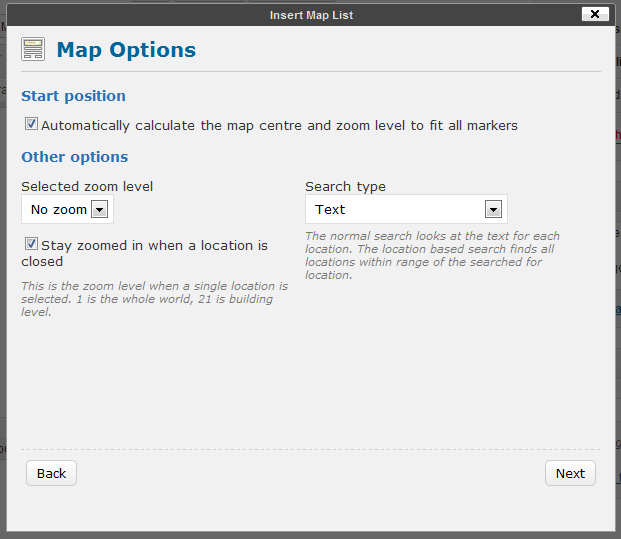 Easy to use – Click the Map List Pro button in the editor to set up and insert a list and map. Lots of styles – 35 different looks ready to use. You can manually choose the locations you want to show from a list, show all locations, or show by category or categories. 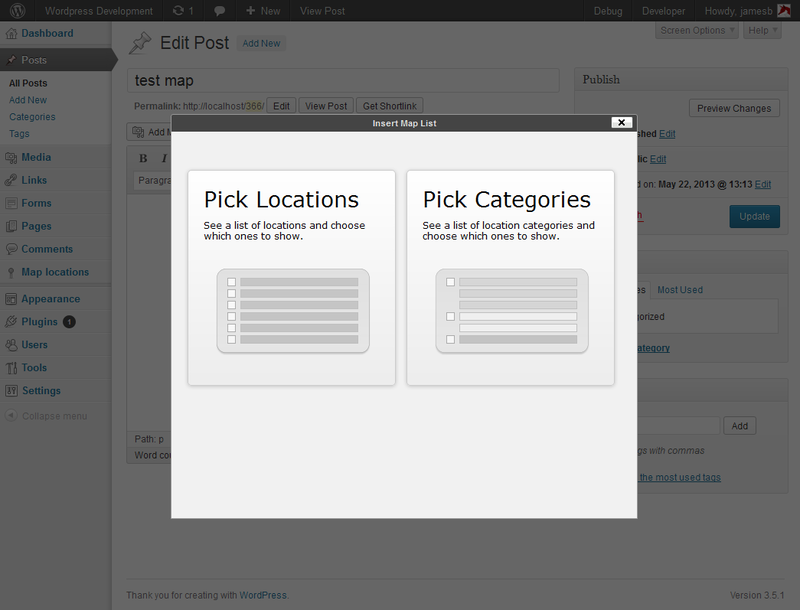 Any time you add extra locations the lists will update automatically if they match the criteria you chose. Fixed search box showing html inside it – thanks AaronR. Updated .pot file, en-gb and en-us translations. Changed paths so that wp_plugin_url is replaced by https plugin friendly option. Changed activate function to stop error on activation in some server setups (thanks Gotequity). Added categoriesmatchall option to shortcode to allow for AND filtering instead of OR in categories. 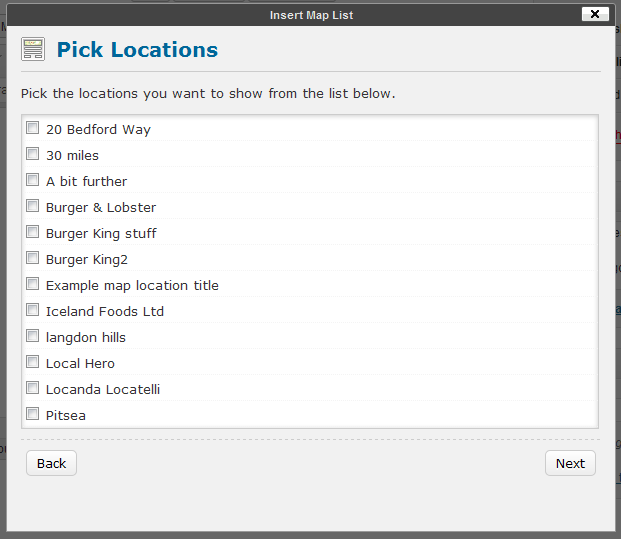 Fixed list items not closing when a different location is picked on the map. Fixed paging showing when in map only mode. Fixed responsive issues with category boxes etc. Added option to turn comments on in the settings. Message to user now shows when geocoded search fails. Updated English, French, and Hungarian po/mo files. Fix for home location mode showing the home location twice if included in the map options. 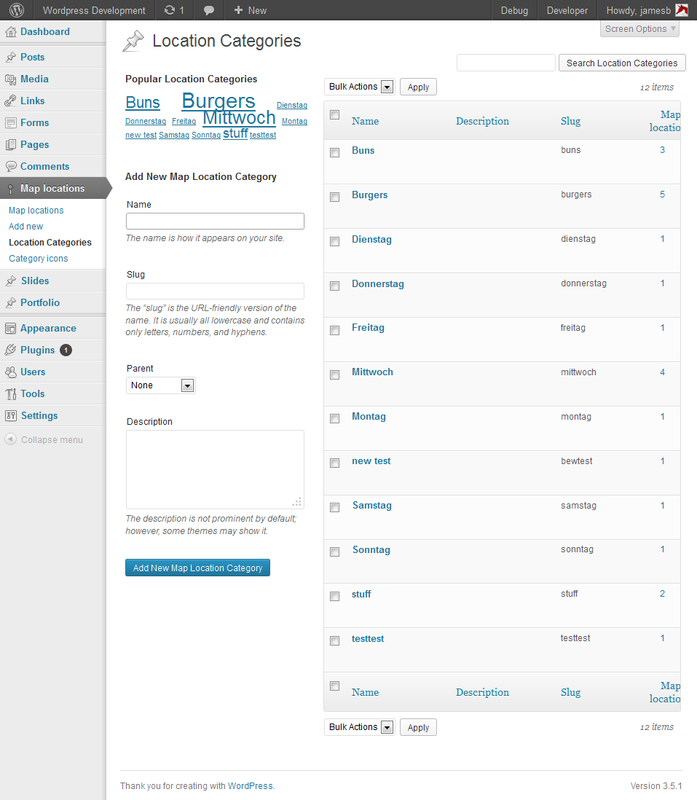 Added form tags to the search field. Made Go button appear on mobile keyboard and keyboard hide on form submit. hideuntilsearch option added in to allow locations to stay hidden until search terms are entered (Only works with manual start location and zoom). Fixed categories hiding after clicking when in shown as a list. 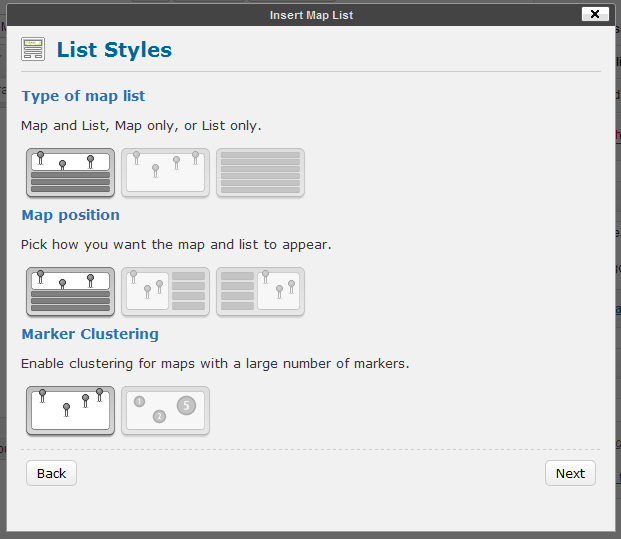 Pulled custom map styles into the detail page. Added imagewidth and imageheight shortcode attributes in so that image sizes can be overridden. Infowindow options expanded to allow infobox, infobubbles, and standard infowindows. Infoboxes made to work well on responsive set ups. Added streetview shortcode option to allow streetview to be switched off easily. 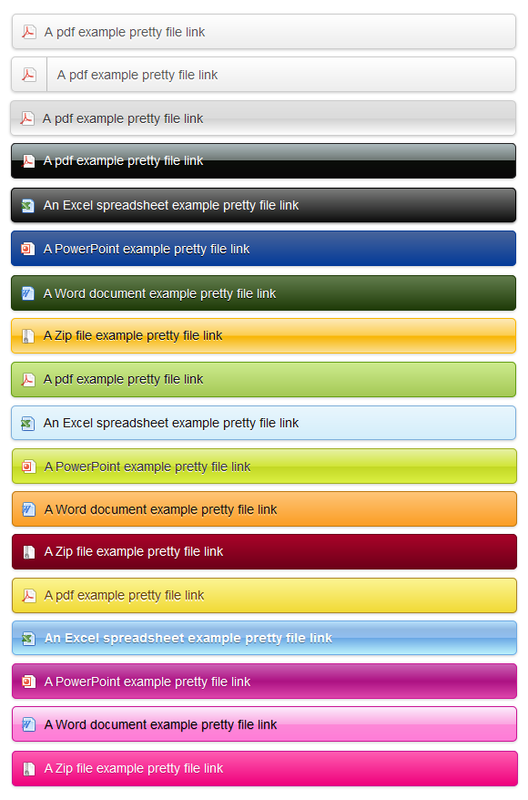 Updated theme file check (Thanks Fran). 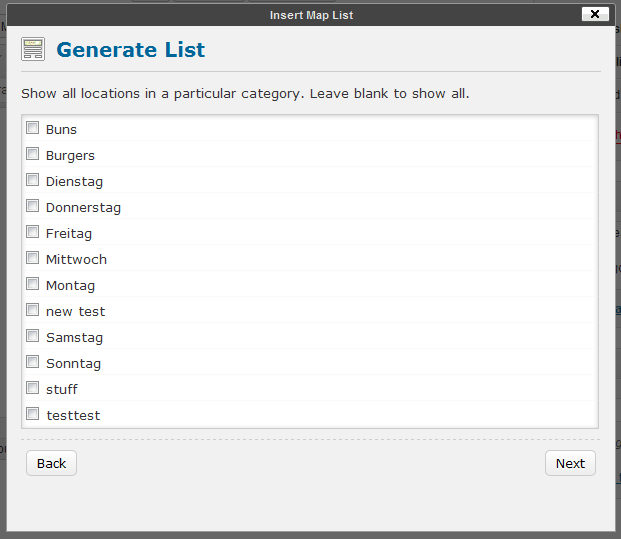 Added check in editor for matching place name and first address line to stop duplicates. Made category label on filter button configurable. Added category slug to each list item for styling etc. SSL check for Google Maps API url added. Stopped no location found message showing ahead of load. Added post object to description filter so users can get custom fields etc. Fixed send media to editor conflict – cmb issue. Fixed missing “of” localisation in paging. Fixed Google Chrome crash on directions print cancel. Fixed view location detail button still showing in info window when hidden. Missing localisation for View Location button in infowindow added. Missing localisation for Print Directions button added. 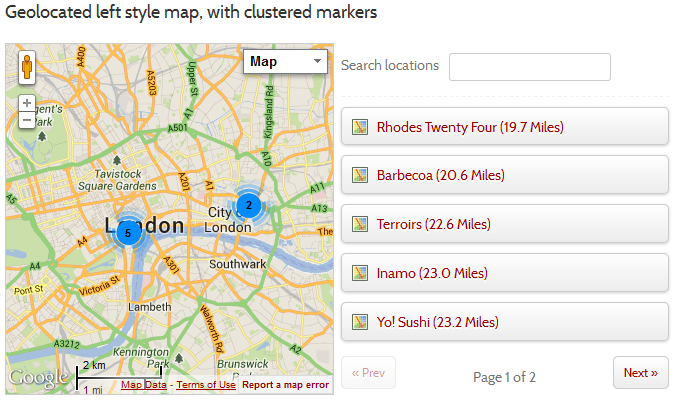 Added css class to location list items for advanced styling. Selecting a location in the list hides all others. 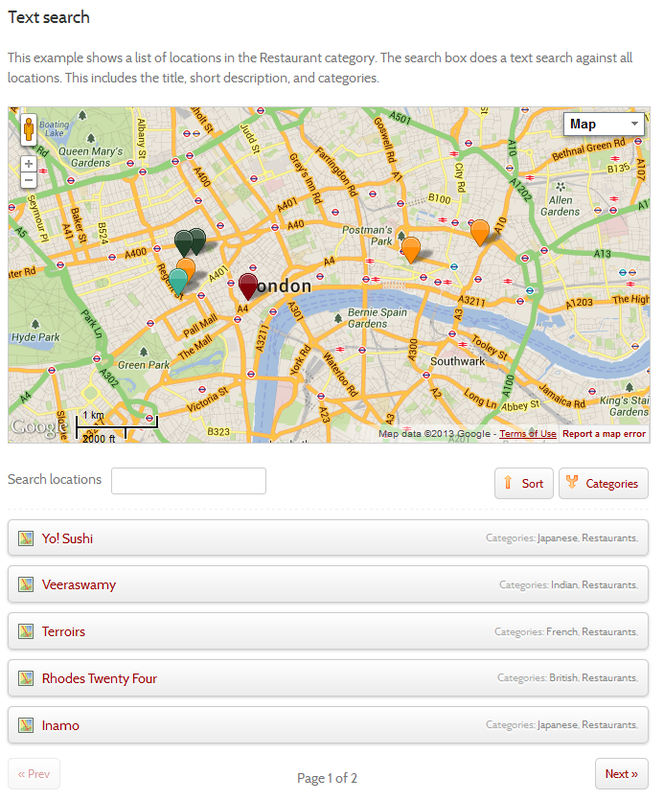 Categories start off unselected – but all locations show. Added initial sort by direction for parameter, and location search. Misplaced div closure for map only view moved inside correct if statement. Fixed issue where pins are found in root of pin folder. New filter added to allow extra fields to be added to the location editor. New filter added to allow editing of the description, with access to all available custom fields. Fixed Template file ignoring child themes. Fixed missing localization for “Categories:” on list items. Added custom map markers with custom shadows, and optional custom positioning. Fixed initial sort directions and type being ignored. Fixed Print directions button keeps getting added when go is clicked. Fixed directions routes ignoring measurement units. v.3.0.13 – Fixed metric/imperial option, Changed map enqueue, made styled infoboxes optional. Ready styled infoboxes on maps instead of infowindows. 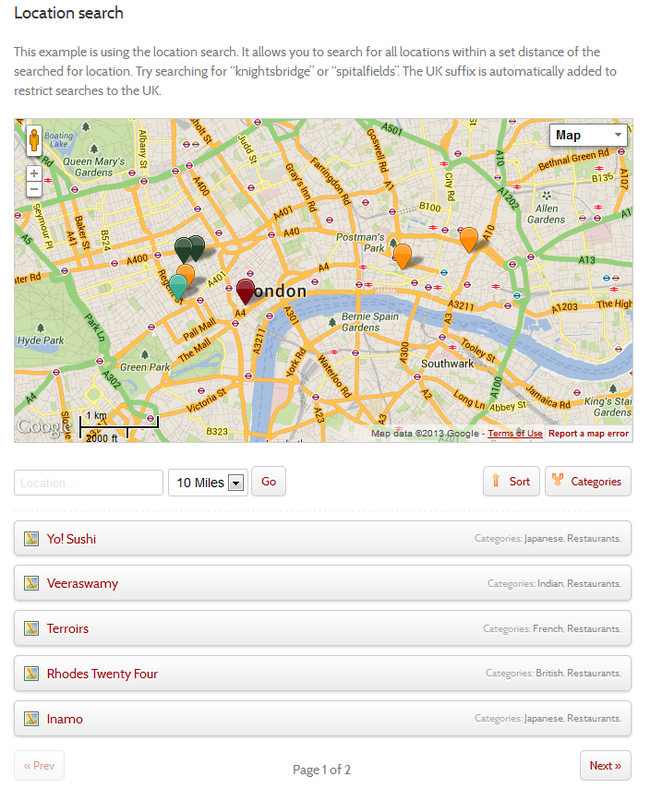 Combo search to allow searching by text and location. Option to open detail links in new window. 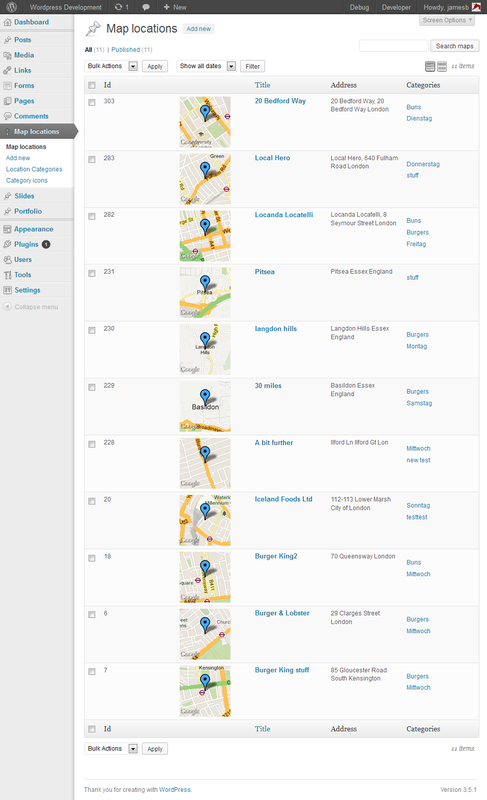 Multiple Geolocated maps allowed on one page. 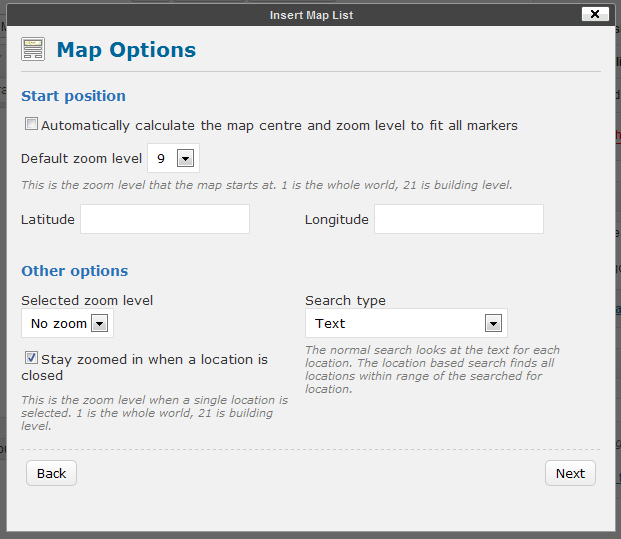 Set default location for editor map. Maintain user’s zoom level once zoomed. Per category icons are now available – Pick from a range of 13 coloured markers, and set the importance of each category. 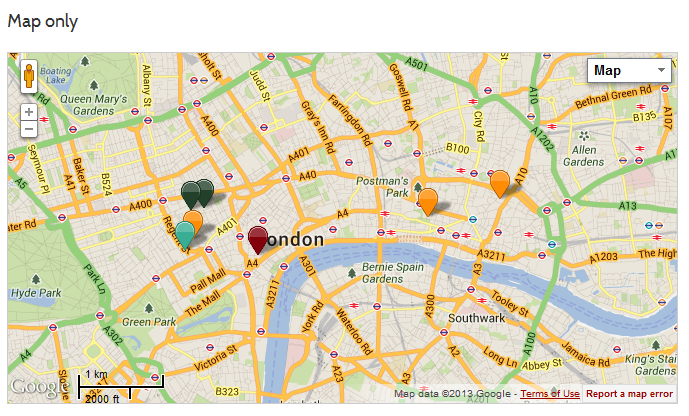 v1.6 – Added full Geo Location to maps. You can now sort by distance. Default zoom level option added to shortcode. 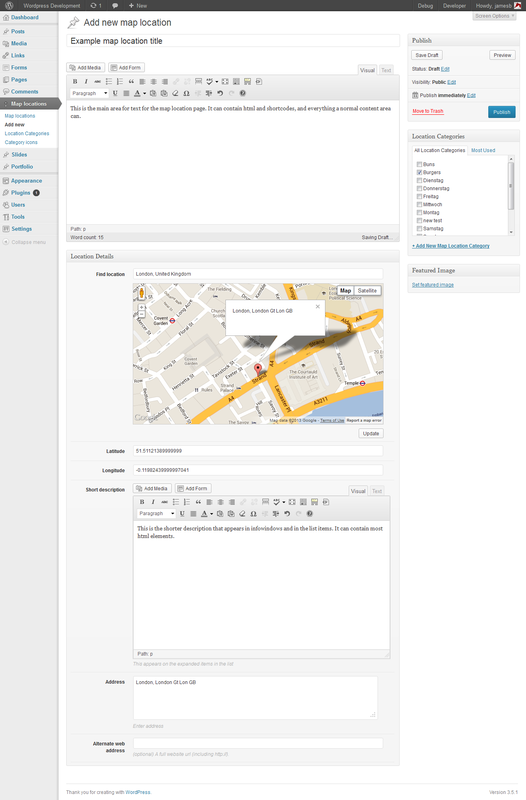 Lat/Long not getting set when the html editor was selected in location creation screen. v1.3 – Added featured images, 7 new styles, and optional in-page directions. 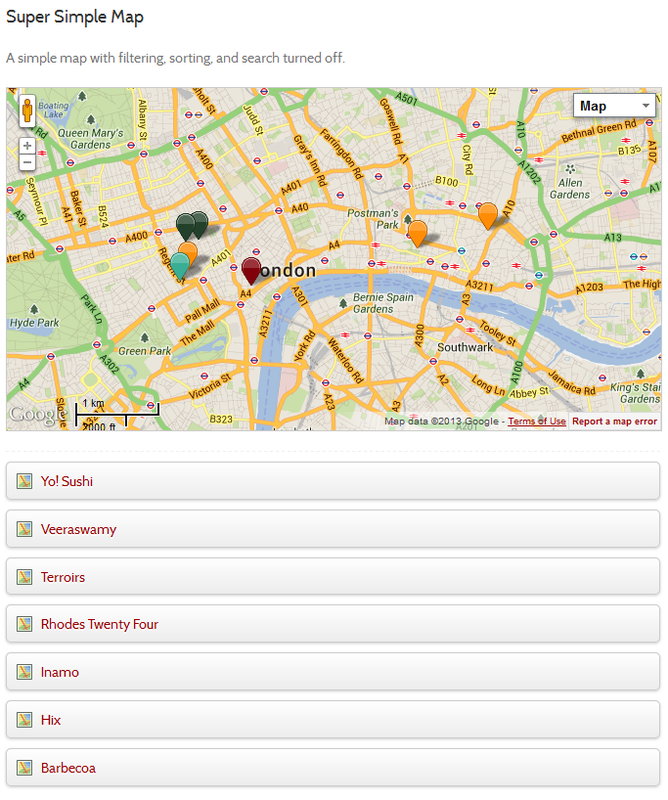 v1.2 – Fixed a bug that meant only the last item was selected when map locations were clicked.